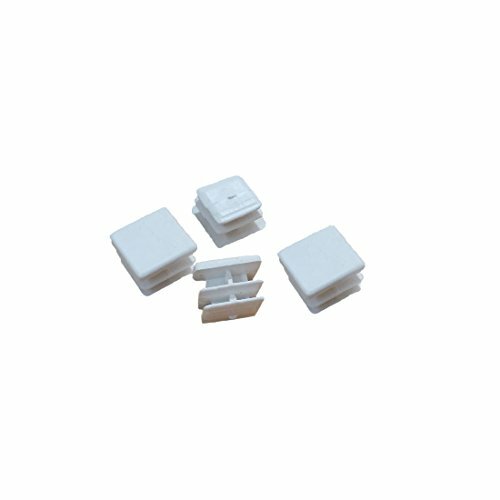 Flyshop 1616mm White Plastic Plug Square Tubing End Cap Tube Chair Glide 8 Pack by Flyshop at Momiji Studios. MPN: W-S-SLGS-16*16mm/8pcs. Hurry! Limited time offer. Offer valid only while supplies last. Heavy duty plastic plugs for tubing are manufactured to provide a secure fit on multiple tube gauges. Suitable for Fitness Equipment End Caps. Heavy duty plastic plugs for tubing are manufactured to provide a secure fit on multiple tube gauges. Suitable for Fitness Equipment End Caps. Fencing Post End Caps. Furniture gliding caps. Compatible Outside Tube Diameter: 16*16mm/ 0.63"*0.63"
Compatible Tubing Wall Thickness: 0.5-2mm/ 0.02"-0.08"
If you have any questions about this product by Flyshop, contact us by completing and submitting the form below. If you are looking for a specif part number, please include it with your message.